A Pennsylvania man was in custody Sunday for what a prosecutor called the “savage” and “senseless” death of a recent high school graduate shot in the head during a road-rage confrontation as the two tried to merge in a single lane. 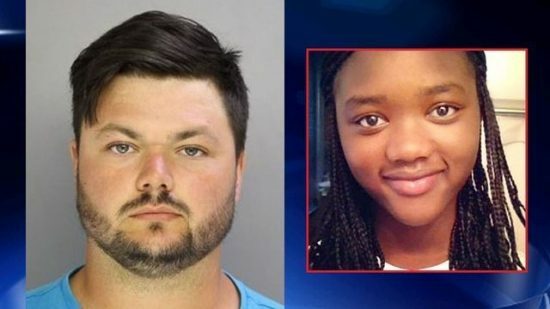 David Desper, 28, of Trainer, turned himself in accompanied by an attorney early Sunday, and police said he was charged with first- and third-degree murder, possession of an instrument of crime, and reckless endangering in the death of 18-year-old Bianca Roberson in West Goshen Township. Desper and Roberson, who had just graduated from Bayard Rustin High School in West Chester and was planning to attend Jacksonville University in Florida this fall, were trying to merge into a single lane Wednesday as a two-lane road narrowed, Chester County District Attorney Thomas Hogan said. “They jockeyed for position, and he wasn’t happy, so he pulled out a gun and shot Bianca in the head, killing her instantly,” he said. After Roberson was shot, her car veered off the road, struck a tree and was found in a ditch. The shooter fled in a red pickup, driving partly along the shoulder of the highway until exiting the road. Authorities tracked the suspect vehicle on surveillance video and sorted through hundreds of tips from the public, calling on the suspect to turn himself in for his own sake and for the sake of the family. “We got a crucial piece of evidence from Bianca herself, because the round recovered from her was reviewed by a forensic ballistics expert who told us that that round came from a 40-caliber Smith and Wesson semi-automatic handgun,” Hogan said. Desper had a permit to carry the gun, which he purchased in November 2015, Hogan said. After Desper turned himself in, the dented red pickup truck sought in the shooting was found in nearby Glen Mills, and the 40-caliber semi-automatic handgun police believed was used was found in the suspect’s bedroom, Hogan said. Asked if race was a factor in the slaying – Desper is white and Roberson black – Hogan said there was no indication that race played a role. “This appears to be a savage, senseless and brutal act from one human being to another human being,” he said. Desper remained in custody without bail. Defense attorney Daniel McGarrigle declined comment Sunday. Previous WATCH: True Believers: First Baptist Dallas Church Choir Sings “Make America Great Again” Song at Trump Rally in D.C.